Forest High School freshman Lauren Heinlein knew she had a great opportunity to find her way into Florida's state girls high school tournament. 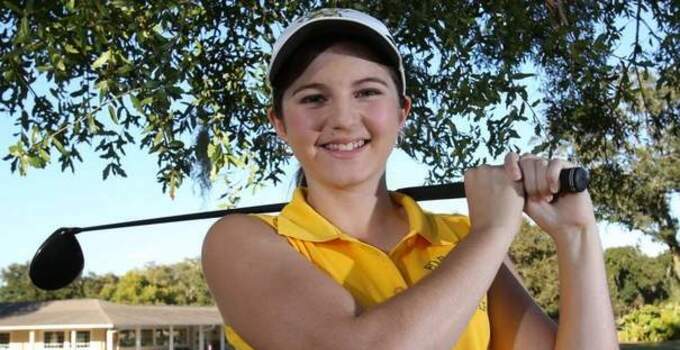 Playing at Ocala Golf Club, her school's home course, she needed the round of her young high-school golf career to earn the coveted spot. With a hole to go, Heinlein didn't know the score she needed to win the tournament, but she knew she was close. As Jack Nicklaus told his son in the 1986 Masters on the 15th hole, Heinlein knew a 3 would go a long way. Heinlein's 3 wasn't an eagle like Nicklaus', but the birdie she made at the closing hole was enough to earn her a round of 71, the regional tournament title and a spot in states. It turns out Heinlein won by four shots.